Furtopia T-shirts V2.0 ready for order! - page 4 - administerial roars and woofs - Furtopia | Family Friendly Furry Forum and IRC Chat! Re: Furtopia T-shirts V2.0 ready for order! Love how these shirts are looking on folks! These look awesome, i'd love to get one! Last count shows 3 Large and 2 3XL left. If one of those works for you, follow the ordering instructions from WS's first post in the thread. Nice. 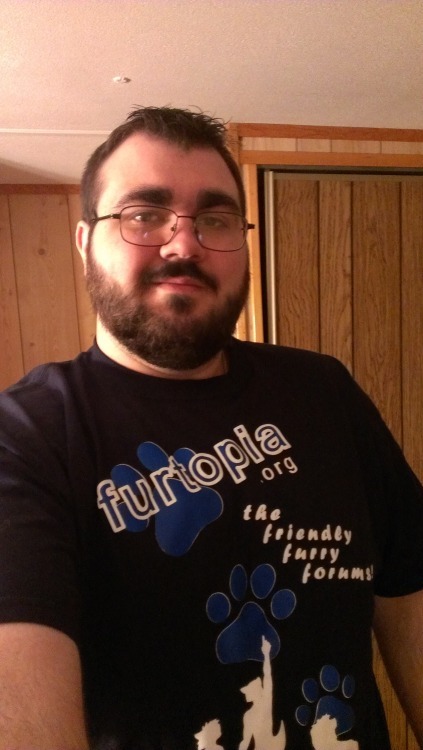 I still have my original furtopia.org t-shirt kicking around, though the material's a bit worn. Still good to wear to various furry gatherings (as rare as they are where I'm at). I've worn it to 4 meets now and keep getting asked, "what con is that from?" which... Is awesome. Are there still shirts available for order? I would love to have one for Anthrocon coming next year. Never turn down tea if it's offered. It's impolite and that's how wars start. Probably best to PM Kada or WS. The latest update shows just three large and two 3xl left. But that last update was in october, so not sure if any sold since. Thanks for looking WhiteShepard, I'll try to buy a three X when I get home. I finally stopped being lazy and bought mine. I ended up sending money over PayPal. Finally managed to go to the Post Office today and check to see if the shirt arrived. It did. Thanks WS and Kada for the "retirement gift". I just received my Furtopia shirt in the mail and it was a good surprise to my not so good day. thanks WhiteShepard! Better late than never especially after a massive hair cut and beard trim. Ps I'm terrible at taking pictures. must say not what i expected you to look like zedd. What's that supposed to mean Korve? I kid, I kid, but yup I'm a bigger guy. What were you expecting me to look like, this? Hey I throw lots of people off too. It's not often you find an Asian who's fat and probbabably taller or as tall as you, there's a pic somewhere in the IRL photos thread.